In this study I will not be covering all the details of properly reciting the Amida nor its long history. My intention is to offer a brief overview for those who are new to Jewish prayer, and the weekday version of the prayer itself. Volumes have been written on related topics. With this piece I hope to provide a brief overview that will answer basic questions related to the central prayer of the Jewish faith. There are recitations that precede and follow the Amida. See a siddur for these. For my study on the Shabbat and Festival Amida please see Here. This prayer is the foundation of all formal Jewish prayer. It is recited as an integral part of our prayers Mornings, afternoons, and evenings seven days a week. There are differences in the prayer for Shabbat and festivals, as well as some internal variances based on the time of year etc. We won't be looking at all of these here. This is the basic weekday Amida. If you are looking for more specific details I recommend the The Koren Siddur, although all sidurrim will have this prayer in its various forms. What is becoming the most popular name for this prayer in its various forms is The Amida. This title reveals one of the prayer's most essential elements. It is "the Standing Prayer" (i.e. amida). Jewish traditions and local minhag (customs) vary in many areas of our daily recitations but we all stand before the King when reciting the Amida (except when this is not possible due to physical heath etc., then one is permitted to recite sitting down, laying in a bed etc.). The more traditional name is Shmoneh Esreh. This title means simply "eighteen" and speaks to the original form of the prayer (established by the 120 men of the Great Assembly in the fifth century BCE, during the days of the biblical Ezra). That original version consisted of eighteen blessings. Shortly after the destruction of the Second Temple in 70 C.E. the form of the prayer was codified by Simon Ha-Pakuli in Yavneh at the request of the great Rabbi Gamaliel (as explained at Megillah 17b and Berakhot 28b). 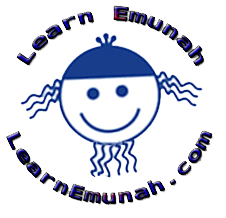 A nineteenth blessing was added to the daily recitation, numerically making it Tesha Esrei, however tradition is important to us and so the name Shmoneh Esreh was retained. The Amida is also recited on Shabbat and holidays. At such times it only contains seven of the blessings rather than the full nineteen. Despite this, the same term, Shmoneh Esreh, is often used. Halachic sources however usually refer to these prayers as Tefilat Sheva (i.e. the Prayer of Seven Blessings). To simplify and correct the terminology, the term Amida or Standing Prayer is now commonly used (although the daily prayers are still referred to as Shmoneh Esreh in many circles). One more important common name for the Amida is the Silent Prayer. This name reflects how we recite the Amida. The prayer is recited in a whisper so low that one can hear oneself praying but no one else present can. When praying with others it is considered a lack of faith (and rude) to recite the Amida more loudly. When praying alone one is permitted to use more volume if it aids concentration. It is not therefore recited completely silently, but almost. When reciting the Amida one considers that he/she is standing in the Holy Courtroom of the Most High. Since the Divine Presence resides always at the Temple Mount we turn ourselves to face the Kotel (the Western Wall) even as we pray for the restoration of the Temple. We are therefore visualizing our Hope as Jews; we are looking with emuna or active faith to the Third Temple and HaMashiach who will one day lead us. Where ever in the world one is located, Jews look toward the Sacred Mount as they stand before the King in preparation for the Amida. This courtly sense is included in the simple ritual elements of the prayer. Center yourself with calm breathing and full intention (kavana) on what is to be done. Allow no distractions to disturb you. If someone speaks to you do not respond except in cases of extreme circumstances. Your full attention is to be on the King you are preparing to approach. Implicit in this is that before you begin you have handled mundane matters that are likely to distract you. Your attitude should be in imitation of the angles in Ezekiel's vision (Ezekiel 1:7) and of Hanna praying for a child (I Samuel 1:13). Although you recognize your personal unworthiness to approach the Sovereign, you do so based on His assurances concerning the offspring of the Patriarchs, such a descendant you are if you are Jewish. In the merit of our fathers you approach boldly. You may also have this confidence to approach the Holy One if you have established a relationship with a tzaddik such as Rebbe Nachman whose instructions are encouraging you to be bold in your spiritual disciplines. Now you stand with your feet together before the Holy Presence who is seated on the Sacred Mount. Throughout this study we are assuming you are not part of a minyan. If so, refer to your siddur and follow the leader's instructions. At [BOW] bend first the knees, then bow from the waist, then straighten. Take three small steps forward, mindful that you are approaching the King. for the sake of His name, in love. [BOW] Blessed are You, Shield of Abraham. You are eternally mighty, Lord. You give life to the dead and have great power to save. He causes the dew to fall. and with great compassion revives the dead. and keeps His faith with those who sleep in the dust. Faithful are You to revive the dead. Blessed are You, Lord, who revives the dead. and holy ones praise You daily, Selah! and knowledge that come from You. Blessed are You, Lord, who graciously grants knowledge. lead us back to You in perfect repentance. for You are the good and forgiving God. the gracious One who repeatedly forgives. for You are a powerful God and Redeemer. Heal us, Lord, and we shall be healed. Save us and we shall be saved, for You are our praise. for You, God, King, are a faithful and compassionate Healer. Blessed are You, Lord, Healer of the sick of His people Israel. who gives the years their blessing. Blessed are You, Lord, who blesses the years. from the four quarters of the earth back to our Land. who gathers the dispersed of His people Israel. and remove from us sorrow and sighing. the King who loves righteousness and justice. and may all heretics perish in an instant. May all Your people's enemies swiftly be cut down. and humble them swiftly in our days. who destroys enemies and humbles the arrogant. Grant a good reward to all who sincerely trust in Your name. and upon Your great loving-kindness we truly depend. who is the support and trust of the righteous. and may You dwell in it as You promised. and install within it soon the throne of David, Your servant. Blessed are You, Lord, who builds Jerusalem. for we wait for Your salvation all day. Blessed are You, Lord, who makes the glory of salvation flourish. Compassionate Father, listen to our voice, Lord our God. for You, God, listen to prayers and pleas. be gracious to us, answer us and listen to our prayer. to the prayer of every mouth. Blessed are You, Lord, who listens to prayer. in Your people Israel, and heed their prayer. the fire-offerings of Israel and their prayer. May the service o`f Your people Israel, always find favor with You. Your return to Zion in compassion. who restores His Presence to Zion. for ever and all time. for Your compassion never fails. placed our hope in You. and raised up, our King, continually, for ever and all time. God, our Savior and Help, Selah! the beneficent God. [BOW] Blessed are You, Lord, whose name is "the Good"
and to whom thanks are due. to us and all Israel Your people. righteousness, blessing, compassion, life and peace. at every time, in every hour, with Your peace. Blessed are You, Lord, who blesses His people Israel with peace. Guard my tongue from evil and my lips from deceitful speech. may my soul be to all like the dust. swiftly thwart their counsel and frustrate their plans. act for the sake of Your holiness. save with Your hand and answer me. find favor before You, Lord, my Rock and redeemer. May He who makes peace in His High high places . make peace for us and all Israel -- and say Amen. with reverence, as in the days of old and as in former years. then the offering of Judah and Jerusalem will be pleasing to the Lord. as in the days of old and as in former years. May HaShem accept the prayers of all good intentioned people. The text of the Shemoneh Esrei included on this page is from The Koren Siddur (copyright theirs). How to Pray as a Jew by Rabbi Hayim Halevy Donin. A Guide to Jewish Prayer by Rabbi Adin Steinsaltz.